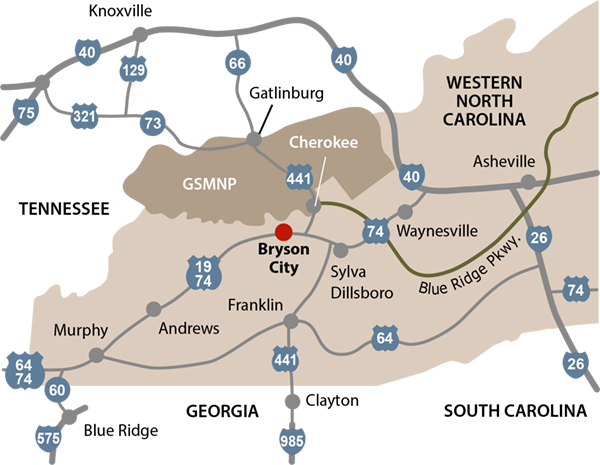 Bryson City is located in the western end of North Carolina at the southern edge of the Great Smoky Mountains National Park. We're one hour west of Asheville, just three hours from Atlanta and Charlotte, and two hours from Greenville, Knoxville and Chattanooga. 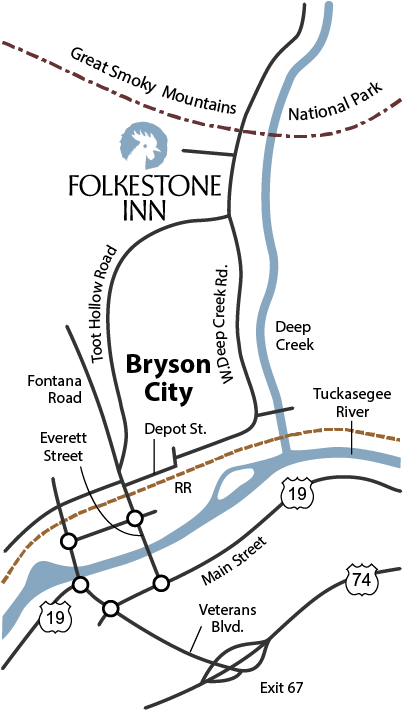 The Folkestone Inn is located two miles north of Bryson City just off West Deep Creek Road, and a quarter mile from the Deep Creek recreational area in the national park. If your mobile device supports Google Maps, tap below to access turn-by-turn directions to the Folkestone from your current location. WARNING: Standard GPS systems are notoriously unreliable in these mountains. Use at your own risk.